LEX 18 reports on a recent drunk driving accident that sent one person to the hospital. The crash occurred around 6 p.m. on HWY 210. According to authorities, the driver who allegedly caused the collision, Jeremiah Johnson, 25, ran a stop sign and hit another vehicle. That vehicle rolled several times, and its driver was rushed to the hospital. Johnson fled the scene. He now faces charges for leaving the scene of an accident and DUI. This crash was a tragic reminder that alcohol is a primary contributor to serious collisions in the United States. According to the Centers for Disease Control and Prevention, 9,967 people died in alcohol-related accidents in 2014. That means drunk drivers caused nearly one-third of all traffic fatalities that year. According to a CDC study, the drunk driving death rate in Kentucky is higher than the national average for all age groups. 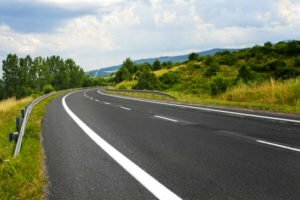 If you were injured or lost a family member in a crash with an impaired motorist, contact the Troutman Law Office. You may be entitled to compensation for medical bills, lost income, and non-economic damages. Call to schedule a free initial consultation with an injury attorney in Lexington. Stay off the Road between Midnight and 3 a.m. Drunk drivers are more likely to be on the road between midnight and 3 a.m. than at any other time interval of the day. Try to avoid the road at these hours. If your plans involve alcohol, be sure to arrange safe transportation before the festivities begin. Designate a sober driver, record the phone numbers of local taxi services, or download a rideshare app. Sadly, no matter how diligent you are, all it takes is one drunk, distracted, or negligent motorist to cause a tragedy. If you were injured in a collision that another driver caused, you may have grounds for a personal injury claim. Matt Troutman can evaluate your case, gather evidence, interview witnesses, and help you fight for the maximum payout. Call to schedule a free consultation with an auto accident lawyer in Lexington. 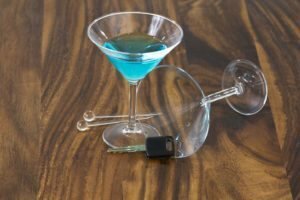 You can learn more about drunk driving accident claims in Kentucky by visiting http://drunk-driving-accident.usattorneys.com/kentucky/.